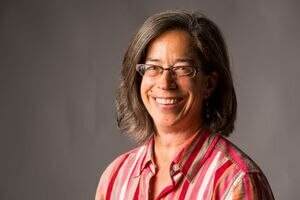 Multimedia editor Anne Raup has been with ADN for 22 years, both as a staff shooter and an editor. Bull moose are in rut across Southcentral Alaska. We witnessed a brutal fight in the middle of the city. 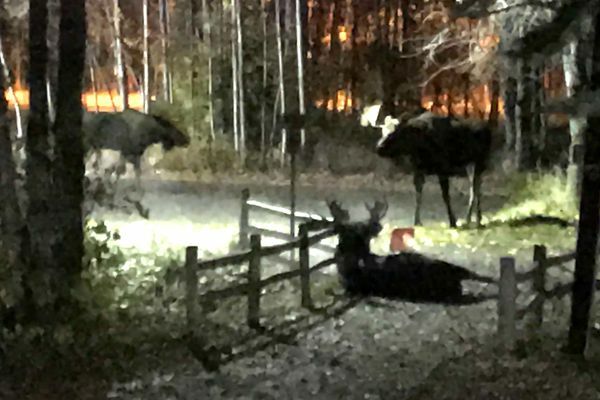 We heard tortured bellowing along an Anchorage bike trail, then saw two moose in silhouette, one lying on the ground. 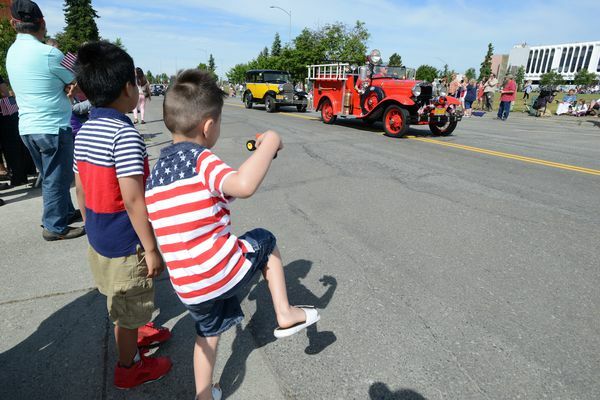 A sunny, hot day brings out thousands of Alaskans and visitors for Independence Day festivities. 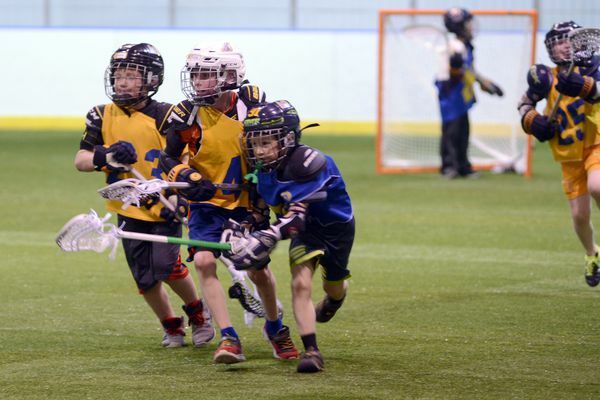 Four different age groups can participate in lacrosse for kids camps this summer. Kodiak Island has many miles of coastline, much of which is good for surfing when conditions are right. 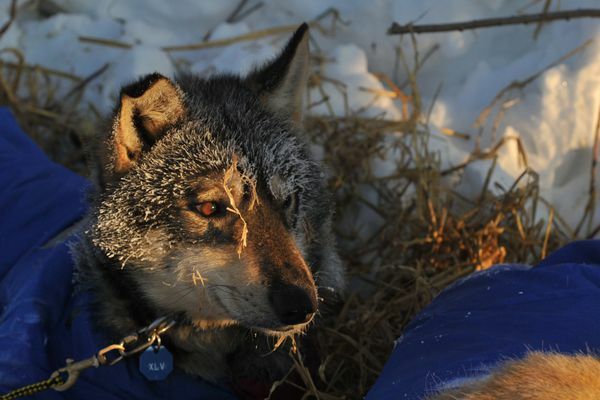 The cold weather gripping the Iditarod route on Wednesday is soon to warm up, giving mushers some relief and different conditions. Anchorage saw 34 homicides in 2016. 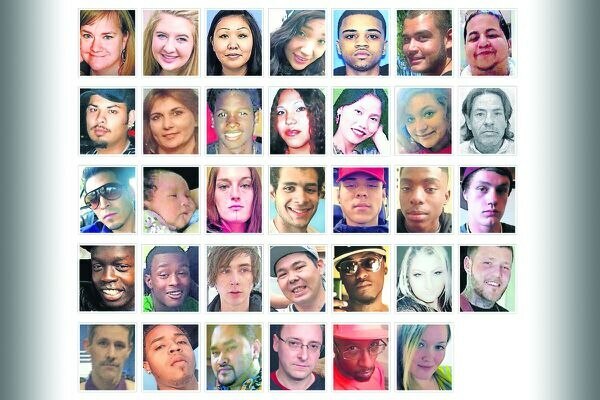 Here's a look at the lives cut short in a deadly year. 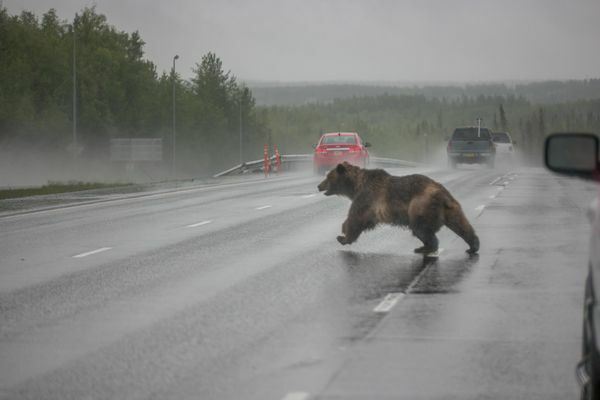 The animal crossed all lanes of the freeway near Eagle River. 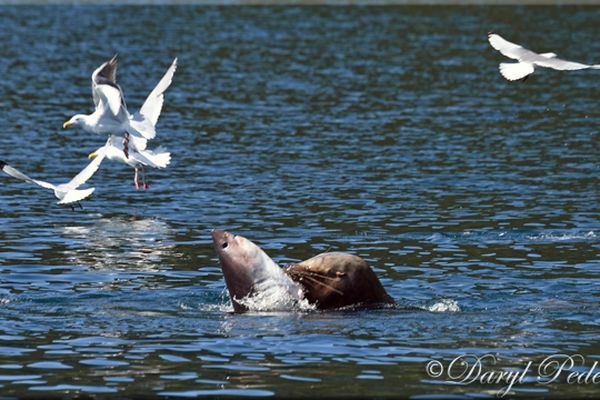 A photographer captured a scene biologists say they've never heard of before: a sea lion preying on a salmon shark. Bill Guernsey's 16-foot red rocket ship camper is an eye-stopping marvel of innovation and persistence.